December is one of our busiest months at the Edmonton Convention Centre. 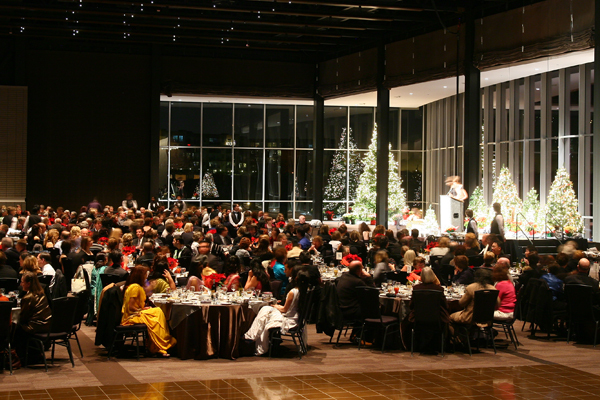 We serve over 25,000 guests and host between 60 to 70 diverse holiday parties. We cook, bake, prepare, pour, serve, clean and decorate every single day during the holiday season. Our building is bustling with people; it is full of holiday spirit. This year, we asked staff from all departments what their favourite holiday memory from SCC was. The chaos of the season can sweep us off of our feet. Take a moment to reflect and enjoy this Christmas. Over the years we hope you have gotten to experience a taste of the holidays from Edmonton Convention Centre. Whether it was from the Festival of Trees or a work Christmas party, what are you favourite memories here?